Do something satisfying with your time. Make a difference in the lives of our participants. You'd be surprised how far a dollar can stretch. 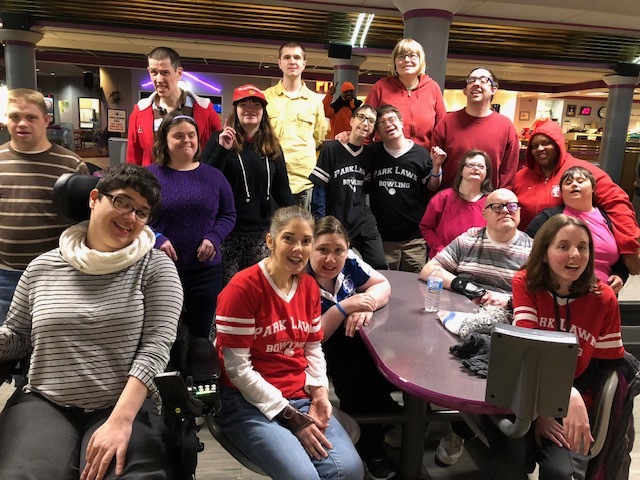 Park Lawn is a non-profit organization in Illinois offering a variety of programs and services for individuals with intellectual and developmental disabilities. Park Lawn’s mission is to provide services that promote independence, choice and access to community living for people with intellectual and developmental disabilities. At Park Lawn, we work to provide services that promote independence, choice and access to community living for individuals with intellectual and developmental disabilities. One important way we achieve this is through our many programs and services we offer. Fundraising and events help us raise awareness and generate funding in support of our cause. Join us at our next event and see how you can get involved. Week 12: NO DRAWING, Happy Holidays! Next drawing 1/2/2019! Team up with us and see what a little bit of your time can make in the lives of our participants.